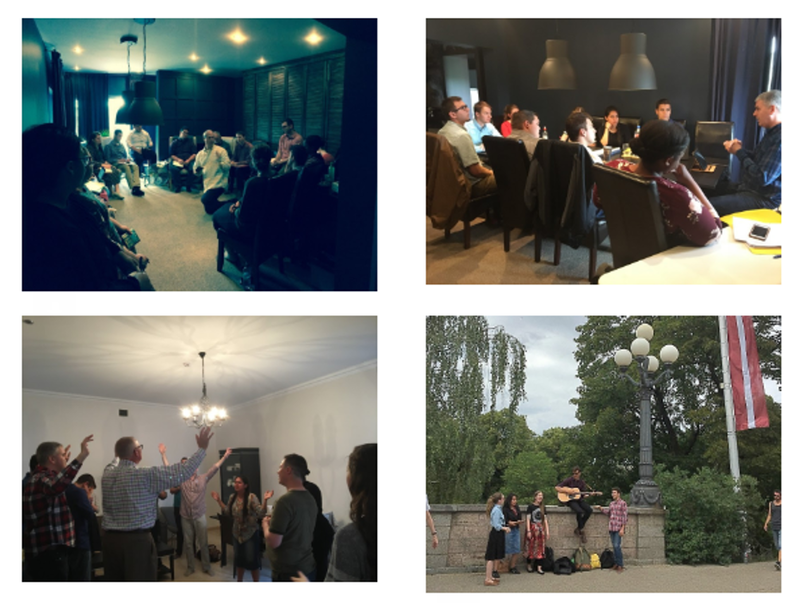 This summer has been an amazing time for the church here in Latvia and the RKR Global Training Center! 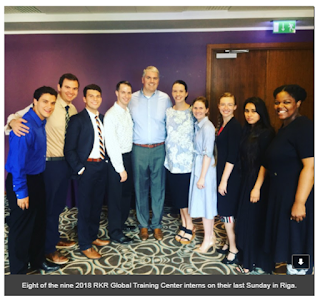 RKR Summer 2018 interns began arriving at the end of May and we started training on June 1. The primary focus of the interns was to assist the work in the center of Riga. 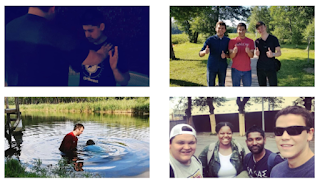 Every week they were evangelizing in the streets and parks, making new contacts and teaching Bible studies! 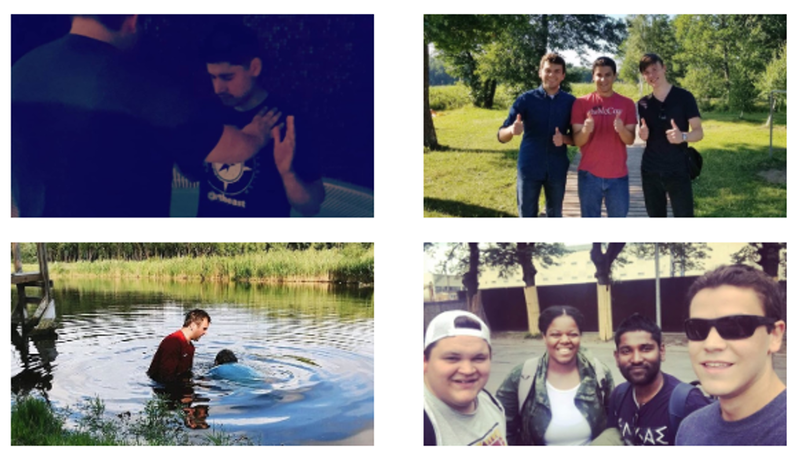 It was a joy to see them grow throughout the summer as they allowed the Lord to mold them into what they need to be to accomplish His will in their lives. We expect to see most of them involved in Global Missions for years to come. Four of the interns plan to return next year to assist in teaching and leading the training for the Summer 2019 internship before going on to their next AIM assignment. Some of them will be taking what they learned back to their college campuses and training others. We are excited about the countries and people groups that will be reached because of these young people! 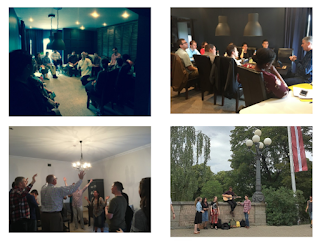 In addition to Latvians, a lot of tourists from across Europe came through the center of Riga this summer, and some of them were baptized, filled with the Holy Spirit and connected to churches in their home countries. The RKR interns also connected with a group of Swedish medical students [studying in Riga], and one of them received the Holy Spirit. Charlie Robison baptizing a young man from Berlin, Germany | Jacob Carpenter & Brock Carrol with a young man from Limbaži, Latvia after his baptism| Dan Schwartzfisher baptizing a man from Riga, Latvia | A young man [2nd from right] from Spain was sitting on a park bench, and one hour later he was baptized and had received the Holy Spirit. Pastor Conner and Sister Conner and some of our Faith Tabernacle family visited us for 10 days in July. It was a privilege to host them and have them minister to the church and leaders here in Latvia. We are blessed to call this our home church and have Pastor Conner and Faith Tabernacle in our lives! 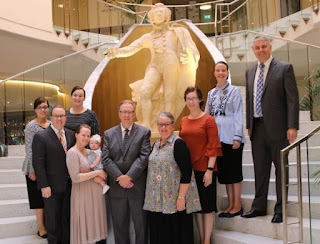 We also traveled to the Czech Republic and were able to be with the Pentecostal Fellowship International church in Prague for their Sunday worship service. Prague was the first place we went on AIM as a newly married couple and it was wonderful to see familiar faces there again after 6 years! Our son will be making his entrance into the world at the end of October & we can't wait to meet him! Thank you for your faithful support, prayers and love for us, the work in Latvia and all of the CIS and Baltics!